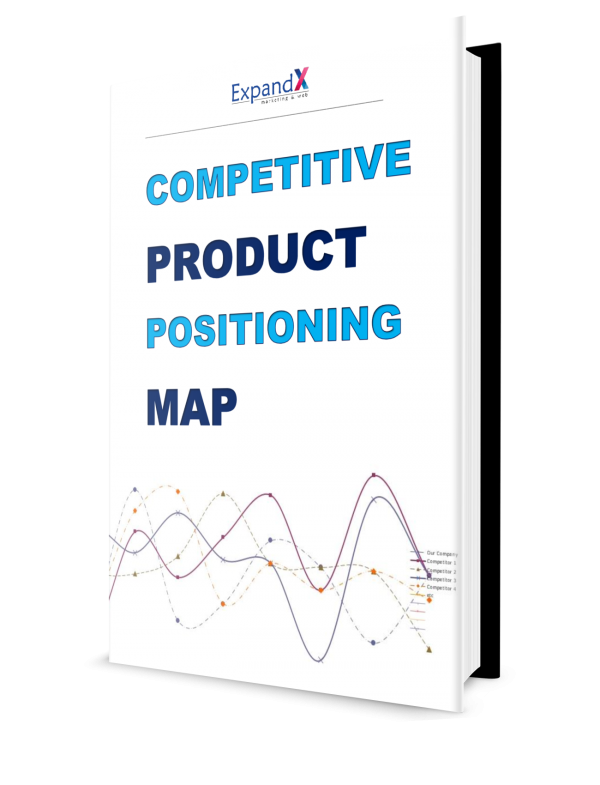 Use this tool to document key buying criteria for each of your market segments, products or services, analyse & rate your competitors, and develop a product/service positioning map. In order to successfully compete in today’s business world, it is important to be aware of the competition your company may have. There is a need to analyse competitors and to identify areas of expertise and differentiation through a competitive analysis template. A competitive analysis template designed to help you determine your market position with regards to value, price and market share. 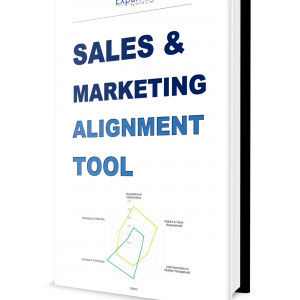 This tool allows you to define and determine the core value drivers for your customers, and allows you to highlight specific features. 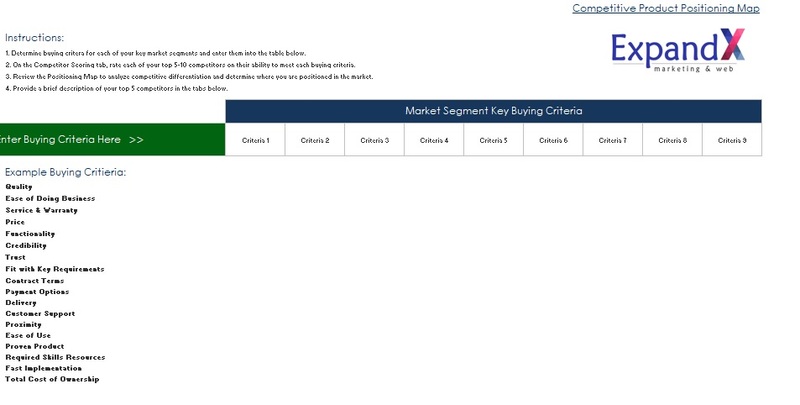 Once you have selected and defined your value drivers, score your product/service against your competitors and use the competitive analysis template to identify and analyse your position in the market. 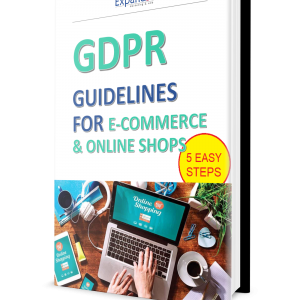 And if you need assistance with your marketing strategy we at ExpandX Marketing & Web can assist with expert advice or individual preparation of the required document. Email us at marketing@expandx.com! 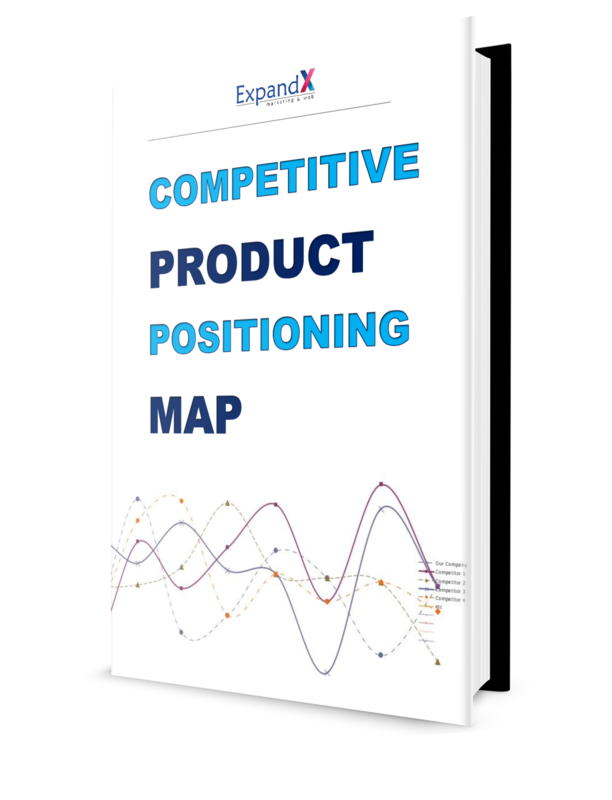 GET NOW our Competitive Product/Service Positioning Map Here. 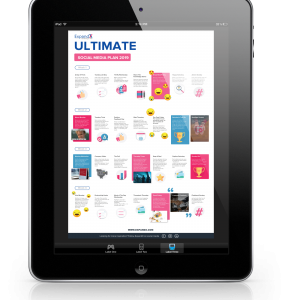 Why Brand Identity is so important in marketing?